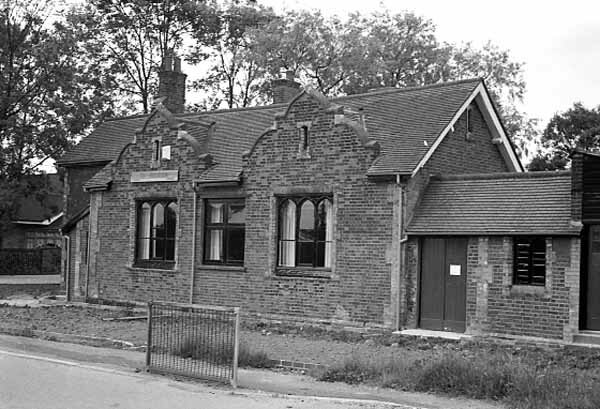 The school was built in 1848 and started life as St Thomas' Church of England School, the Council school closed on 19th July 1977. The drawing above was lifted off of an old eighties School House Restaurant menu, I know not who to credit with the creation of this image. But thanks to whoever you are, it was well worth the effort. 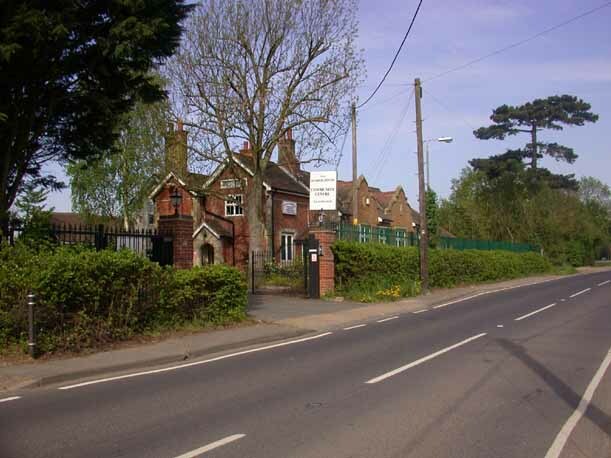 In 1980 after a short period as a private residence it briefly became the School House Restaurant; before being purchased by the Heron Education Trust that ran the building as an independent faith school. This lasted a couple of years before it was placed back into auction and it was then purchased by the Hindu Welfare Association, who it seems are currently (2016) running it as the charitable "Radha Krishna Temple" A gallery of photos can be seen on their website here. Marjorie Jean Peacock, always known as Jean was born to James and Florence Gladys Peacock, nee Vaughn on the 15th March 1930. She started her education at the Noak Hill school in 1935. She has made available to the FODP a large number of school photos from the the late 1930's. They can be viewed here. Or they can be downloaded here. This is a large file and contains all of the photos in high resolution. Be patient it could take some time depending on the speed of your connection. Towards the end of that large collection there is a 1946 photo provided by Colleen Mason nee Milstead and finally a group from Angela Beecham nee Bell from the 1960s. The School Log Books detail the everyday events at the school and are in fact a brief diary of life at the school. The transcripts of these books were provided to us by Ernie Herbert, who sadly died in 2014. He painstakingly trancribed all 388 pages from the original hand written books, a work of some devotion. There are three books still in existence. Number One,1878-1905. Number Two, 1922-1951. Number Three,1973-1977. 388 pages in total. Download all 388 pages here. These Noak Hill School log books are a fascinating compendium of life and events at the school from 1878 to its closure in 1977. I find them all interesting, but of course 388 pages of what can be pretty repetitive stuff is not to everyone’s taste, I have read through it all and extracted what I see as the most interesting entries over the 100 years. In the early days religion played a big part of the school's daily life so there were numerous visits and lessons by the local vicar, as well as numerous visits to St Thomas’ church for services of every description, Children were also expected to learn the catechism and for what was after all a church school this was deemed to be very important. The school also “benefitted” from regular visits from local dignitaries, and Romford politicians. Lady Neave (wife of Arundell) in particular being a regular in the first volume, The next Lady Neave (wife of Thomas) was a much more infrequent visitor, once in July 1940 then not again until 1951, all these visits are all carefully logged in the books. The nearby Dagnams, one of the Neave family homes was requisitioned by the army in the winter of 1940 and the Neaves never returned to live there. All life in the school was recorded, staff sickness, the regular emptying of the cess pit, every air raid warning during the Second World War and much, much, more. In the main I have edited all the more mundane material out and tried to concentrate on the entries that shed light on the lives of local people, especially the children of Noak Hill and its environs. In the early years, attendance was a big issue with children away working in the fields or deterred by inclement weather. But probably the biggest cause of absenteeism was illness with frequent epidemics of diseases that we now assume to be things of the past. During the late forties electricity arrived as well as the telephone and transport became easier but children as young as five still walked two or three miles to school throughout the whole year. Parents didn’t fetch and carry them in those days. By the seventies the school rolls were diminishing and the school was obviously suffering from maintenance problems, reading between the lines, “make do” repairs were being made rather than permanent ones. Another sad set of entries sets out the arrival of vandalism and burglary to the school with the associated attempts at deterrence with new locks and bars, etc. Scroll down to the bottom to read the edited version. You can download the complete unedited school logbooks here. At the time the first two photographs below were taken in 1981 it was a restaurant. The last photo by Don Tait was taken in 2011. Editors Note; These entries are reproduced verbatim, apart from some punctuation. Jan. 28th. School reopened by Maria Ashby Certificated teacher of the 2nd class & Jane Pratt, Pupil teacher of the fifth year. Oct 11th. Friday. Several children away gathering acorns. Lady Neave visited on Wednesday afternoon. One child sent home for untidiness. May 23rd. One family consisting of 4 children absent with Scarlet Fever. June 20th. William Freeman died of Inflammation of the Lungs. Oct 13th. School reopened after 5 weeks holiday, Children being assembled the previous week & only mustering 39. Number very low, gleaning not yet over. Feb 13th. The Rev A.C. Roberts visited this morning and said we had better close School for a week (on account of measles, coughs and colds). May 13th. Lost an infant suddenly by death. July 8th. School closed for a fortnight on account of Measles. July 28th. Some of the elder children away again & taken to work in the fields. Dec 13th. Punished W. Tudgay for obstinacy, (with the cane). March 12th. Four children sent home on account of Small Pox in their village. Oct 12th. Weather set in cold & damp. Fires commenced this week. Copy of the H.M. Inspectors Report. March 2nd. School late in assembling this morning. I was obliged to leave Mrs Bates in charge for a few minutes, through my own carelessness. The Honourable Lady Neave and Miss Neave came into school this afternoon. The children sang two songs, and her ladyship looked over some of their needlework. Sept 24th. Re-assembling of the School after a holiday of six weeks. The extra holiday was added in consequence of the building of an extra room for the School house not being completed. Only 39 children present; the smallness of the attendance being due to the fact that the gleaning has only just begun on the large farms in the village. May 24th. Our School Museum, lately commenced, has made fair headway. We have now specimens of various cocoas in the raw and manufactured state Cocoa Butter, a cocoa pod with beans and a coloured illustration of the Cocoa Harvest. A fine specimen of Plumbago together with specimens of the manufactured article has been presented to our Museum. We hope by securing the co-operation of the Managers and friends of our school and especially the scholars themselves, to make the Museum a powerful factor in our school work. The average for this week has been 65.7. July 11th. An Annual Fete in Romford today and therefore a somewhat meagre attendance in the Lower Standards. Total 56. Dec 16th. A half holiday given. Object Lessons 1890. The Bee, The Tiger, The Goat, The Elephant, The Whale, The Eagle, The Rabbit, The Cow, The Horse, The Owl, The Cat, The Mouse, The Robin, The Rook, The Lion, A Chair, Cotton, A Needle, Sponge, A Thimble, A Candle, Coal, An Apple, Materials for Clothing, The Blacksmiths Shop, The Dandelion, A Tree, Soap, Water & The Sky. Jan 27th. A very poor attendance this morning. Numbers present 34. On Registers 69. The reason given by parents in almost every case is bad colds. Sept 28th. Infant children sent to the Infant Room, and another arrangement of the desks made. After a careful examination of the School I can only come to the conclusion that it is in a wretchedly poor condition. Reading is fair throughout but arithmetic is very bad. The children of 2nd Standard, and those of the fifth and sixth are unable to do any work at all. The spelling is bad and below the fifth Standard the scrawls they make can hardly be termed writing. The Infant Class is even in a worse condition. Only 4 children can read at all, and they have to spell even monosyllables. Arithmetic does not seemed to have been taught. They cannot make anything beside strokes, and no object lessons have been given. The most encouraging sign is that the children are sharp and bright. Report of H.M. Inspector for year ending Nov. 30th. 1891. "The instruction of this school appears to have been in a backward state when the present teacher took charge in September last. In these circumstances the progress of the last quarter is Creditable and there seems to be a good prospect of further improvement. The Reading is very fairly fluent but wanting in spirit and expression. The handwriting is promising. The Arithmetic declines in quality in the upper standards. A beginning has been made in the teaching of grammar but the attainments are too low for any grant under article 10(e). The chief defect in the school work is the scantiness of the answering in the oral examination; this applies with the greatest force to the girls, who show little intelligence and take but feeble interest in their work. June 9th. Several children away with Whooping Cough, which seems slowly spreading over the village. Aug 8th. On assembling School in the morning it was found that Measles had reached the village, four families having been attacked, it was accordingly determined by the Managers to close the School for a week. Aug 15th. Measles spreading fast. School closed for a month, Harvest Holiday. Sept 19th. School reopened after six weeks holidays, but the gleaning is not over and several are still away. All the Children but two recovered from Measles which has gone quite round the village. Sept 23rd. School very fairly full, but the children of the Infant Class are very weak and dull, and during their long absence owing to Whooping Cough and Measles, have forgotten nearly all they had learnt ; This applies more particularly to their Arithmetic and Object Lessons and it seems advisable to cut off one half of the Object Lessons. March 17th. Scarlet Fever has made its appearance in the village, one family away in consequence. March 22nd. Scarlet Fever having spread in the village and attacked some of the Masters children, the School was dismissed at 10.15, and the Medical Officer, Dr. Wright, having seen the affected children, at once gave orders for the School to be closed until further notice from him. May 8th. 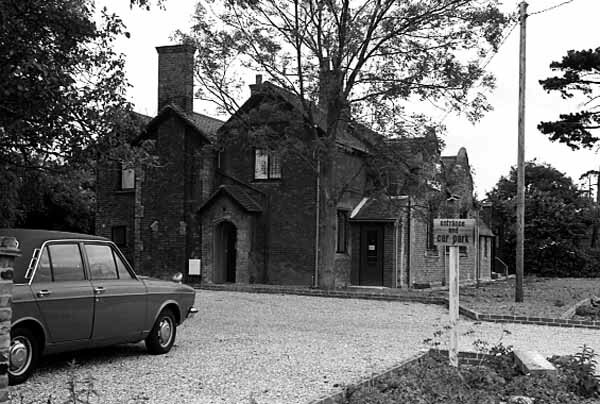 The Scarlet Fever having left the village, school was reopened. Only half of the Children present; no children present from Mr Smiths lane. Several new children admitted. Feb 8th. Very cold, Ink frozen every morning both in large jar and ink wells. June 21st. A considerable number away Pea Picking. Jan 8th. Three girls complained of rudeness on the part of a boy. Jan 9th. Punished James & Joseph Harris in the presence of Rev, F.M. Clayton and the whole school for above offence. Punished J. Reynolds for like offence. June 4th. Punished J. Reynolds, constant dirty hands face &c.
July 30th. Received complaint of school children stealing fruit from gardens. Made a thorough investigation and found Mabel Brown, J. Reynolds, ? Salmons, Ada Wheeler & Flo Ottley were the guilty ones, and that Mabel Brown was much the worse, indeed this child is always most troublesome and defiant. April 8th. Half holiday to enable Master to take his son to Consumption Clinic. Oct 1st. Everything much as usual. Admitted two new boys, one Albert Hornaby very backward. Oct 8th. Admitted five new children all very backward indeed, one a case of neglect. Attendance improved. Nov 15th. Punished J. Theobald for interfering with girls in school porch. Feb 9th. Rev, R.J. Eales visited. Punished Bertie Clark for misconduct during visit. He struggled and knocked his head against the harmonium slightly. March 7th. Punished M. Brown, slightly for sullen disobedience. A troublesome stubborn child, resolved to try the effect of great kindness on her. May 26th. 72 Present in the morning. The largest attendance for some years past. New Cupboard put in Infants room. July 15th. Rev, H. Godefroy visited three times and gave two lessons. Attendance smaller many away pea picking. Jan 9th. School reopened after Xmas Holidays. Jan 16th. Punished J. Farrow slightly for laziness; he tried to kick me, punished him again for this. June 30th. Four new children. On books now 80. Average for week 69. A tree which overhangs the yard in front of girls Closets gives me much anxiety during this wet & windy time. Aug 4th. Attendance fair. Punished R. Hasler, continued laziness. She is 9 years old & does not know even 3 times table, a bright girl too. Punished W. Ovall, rude conduct to one of the girls. Sept 18th. High winds prevalent today. The Elm trees which surround the playground sway very much as the wind is west. As Elm trees are remarkably brittle it seems to me that if they are not lopped they will become dangerous during autumn months, if they are not already. Jan 12th. Punished W. Wright (slightly) Carelessness. Report for year 1898-9 received from Education Department. Feb 12th. Attendance very low, owing to inclement weather. Number on books 73. Number present 36. Feb 14th. Owing to fall of snow only a few children came. No school held. Feb 15th. School opened, but weather still severe, and attendance bad. Feb 19th. Succeeded Mr W. C. Edwards (deceased) in the charge of this school. The attendance is low owing to the bad weather and other circumstances. Am working single handed this week, as the house is not ready for residence. Hy. P.Edden. March 2nd. Double session held today, and school dismissed at 3.pm. to commemorate the relief of Ladysmith. Average this week 61.5. A very marked improvement has set in, and children are gaining the lost ground. March 16th. There was this week a further increase in attendance, among those who had recently been ill. Mrs Edden was absent today owing to the illness (Bronchitis) of one of our children. Since Wednesday reports have been coming in, that several children had contracted Measles, affecting no less than 27 scholars. Reported same to Correspondent & Vicar, who acting on the advice of the Medical Officer of Health, decided to close the Schools. A notice, of which the following is a copy, was affixed to each of the school entrances. Copy. Notice is hereby given that owing to the outbreak of Measles in the district, the Medical Officer of Health has ordered the closing of the schools. Further notice will be given when the schools will be open. Signed H. Godefroy. Apparatus for the use of the children received, consisting of Needlework material including frame. & Thermometers for school use. April 18th. Reopened school on Wednesday in Easter Holiday-being curtailed on account of closure from Measles, having extended over a period of four weeks. Four new scholars were admitted. Weekly average 60.3. May 10th. Cases of Flagrant cheating having occurred very frequently of late, resorted this day to corporal punishment (1st time) as a means of stamping it out. May 11th. Rev, H. Godefroy gave the children a lesson this morning on the Catechism,-especially noting the evils of dishonesty etc. Average attendance this week 78. %.94. Number on books 83. Four recently removed. The % attendance is still exceedingly high. Only two absent all the week, and both these are ill. The percentage for week ending May 4th. was 94.7 and was the highest average since records have been kept. Slightly lower this week owing to severe weather on Monday & Tuesday. Aug 2nd. Registers closed at 9.15. No Scripture taken. School dismissed at 11.30 for treat in afternoon in the grounds of Dagnam Park, kindly lent by Sir T. Neave Bart. School closed this day for the Harvest Holidays. Reassembled on Monday 3rd. Sept. Average this week 83.1. Oct 4th. Heavy fall of rain at dismissal. Children detained for about 20 minutes. Oct 12th. A supply of disinfectant received today, per favour of J.H. Smith Esq. immediately put it to use in the latrines. On books 79. Present at all 75. Average 71.9. % 91. Four children away ill this week with Chicken Pox. Oct 15th. Began fires in school today. Weather very cold. Nov 2nd. Owing to the excessive rain, the ceiling in the girls closet has given way and fallen , luckily while no one was near it. Nov 19th, Owing to the early drawing in of the days and taking into consideration the very long distances that the little ones travel (2½ to 3. miles, register are now (till Xmas) closed at 1.30.pm. and the children are dismissed at 3. 30.pm. to enable them to reach home before darkness sets in. Dec 28th. Copy of H.M. Inspector's Report for the year ending 30th Nov 1900. The school has suffered from changes of staff and epidemic sickness, but the present teachers have made a very successful attempt to recover lost ground, and the outlook for the future is most hopeful. The children are in excellent order and the teaching throughout is bright and intelligent, and both teachers deserve much credit for the improvement they have effected in a comparatively short space of time. A better grasp of the principles underlying the Arithmetical rules, and greater readiness in making mental calculations and in answering questions on the matter of the Reading lessons are points to be aimed at. The roof leaks badly, and the offices are in an unsanitary condition. These matters are receiving the attention of the Committee and proposals for remedying them, will shortly be submitted to the Board of Education. The Staff must be strengthened if a Grant under Article 105 of the Code is to be again claimed next year. H.M.Inspector has had some hesitation in reporting that the school has been well taught during the last school year within the meaning of Article 105. I am to (inform) return Form 54 (see Article 8b). Staff. H.P. Edden. Certificated. M. Edden. Art 50. Signed H. Godefroy. Jan 7th. Reopened the school after the Xmas holidays. Poor attendance owing to heavy fall of snow. Jan 8th. Snow fell again very heavily today. Jan 17th. Mrs Edden returned today. Some annoyance was caused over the punishment of a boy (J. Cross) through the misstatement of other children. This boy had been punished (see C.P. book) for indecency and untruthfulness and was held in till his mother came. The matter was also explained to the father who concurred in the punishment administered. Owing to tale bearing on the part of other scholars, the man came again in the morning and tried to create a disturbance, and using bad language. He was requested to leave the premises. Jan 18th. A Cross came to school this morning. He was sent home with a message to his mother requesting her to attend the school with him, and see the Master, but he did not return. This is a most troublesome boy & although only 6 1/2 years of age is almost incorrigible. On books 68. Present 66. Average 63.6. & 94. Jan 25th. On books 70. Present 67. Average 65.5. % 93.5. The offices, which have been undergoing reconstruction, are now complete. The arrangements of the seats have been altered, and the doors now open outwards. The cesspits have been remade with concrete sides and bottom; air shafts are now provided to carry off the foul air and ventilation has been provided in each of the closets. The boy's urinal too has been re drained with four inch pipe and now flows into a proper bricked well made expressly for that purpose. A four foot six fence has been made as a division between the Masters premises and the Girls Offices. Feb 5th. Excessively heavy fall of snow during the night (average depth 7 1/2"). Only 9 children came in, and these being wet through were sent home. School closed. March 19th. Several children (25) late this afternoon, owing to the proximity of the hounds etc.. Cautioned the children on the matter of straying too far from the school premises. April 23rd. St. George's Day. Patriotic Songs sung during the Singing lesson. Special lesson on patron saints formed last lesson today. May 31st. On books 77. Present 77. Average 74. % 96. The heat in school during the last three days has been almost unbearable. No rain has fallen for the last three weeks. Cases of fainting occurred in school on Wednesday & Thursday morning (due in two cases to the long walk to school). One boy, W. Collins-seriously unwell. June 2nd. Three children absent today on account of the death of their mother, (Mrs Barnard. Wrightsbridge). June 6th. "Bear Fair" held today. Registers in the afternoon were closed at 1.45 and the children were dismissed at 3.45 in consequence. Only two were absent who had been present at all, and these with permission. Mr Godefroy called at the close of school to take the Bank and Clothing money. July 26th. There has been an excessive run on the school pump during the past week, owing to the fact that "Raisons pump" was polluted by the carcasses of rats and other rodents. This has now been remedied and the pump and well properly cleaned and sealed. Several slight cases of diarrhoea had been reported. Sept 2nd. This should have been the date of the Re-opening of the school after the Harvest Holidays, but as the school etc. is not yet out of the hands of the decorators, a weeks further holiday has been given. The whole of the Interior has been renovated, the ceilings have been whitened, the walls coloured and painted, the porch and cloakroom also have been treated in like manner. The pegs in the cloakroom have been rearranged to facilitate the hanging of wearing apparel. The W.C.s have also been whitened, coloured and painted on the inside. Sept 5th. The workmen finished decorations today. Sept 9th. School reopened this morning. A very good attendance. One boy (William Collins) still absent owing to eyesight; and another (Albert Goddard) in hospital suffering from blood poisoning and rheumatics. Sept 18th. Rev, H. Godefroy visited the school this morning, and noted the progress of work in the outer room, and heard the Reading in the classroom. Bill for Re- decoration to hand this morning, total cost £10 9 0. (N.B. Aid Grant £7 10 0.). Oct 21st. Fires started in school this morning. Owing to the terrible storm (accompanied by thunder and lightning) of Saturday last, the boys playground is impassable while the girls ground is but little better. Today the children all entered by the south porch to avoid the accumulation of mud etc. against the north porch. Nov 29th. End of school year. On books 69. Present 67. Average 66.5. % 95. During the year 21 have been admitted and 24 have left, a net loss of 3: and unfortunately by far the greater number occurs during the first and fourth quarters of the school year, thus making the teachers work harder than it already is. The average for attendance for the current year is 68 a fall of 3.4 from last year. There is only one child at present on books under five years. Jan 31st. On books 67. Present 66. Average 66. % 98.5. Several of the children have suffered very severely from the vaccination, but none have stopped away on that account. New stock of Materials, Needlework & Kindergarten delivered today. May 6th. Weather bitterly cold. Thermometer 44° fires resumed, fall of snow during the morning. June 2nd. Peace Proclamation received this morning. Flags hoisted on school, children sang patriotic songs. Extra play allowed this morning. "The King" and "Britannia" sang after grace. Cheers for the King were given. One child, boy, admitted today. July 2nd. Funeral service, Miss Boyce late Housekeeper to Sir Thomas Neave. Sept 9th. Rev, H. Godefroy visited this morning and informed the master of the Coronation Festivities to be held in the grounds of Dagnam Park on the afternoon and evening of the 16th instant. Nov 12th. School closed p.m. today. As many of the children had never seen any wild animals except in pictures, those from the 3rd Standard upwards were taken this afternoon to witness the circus performance. By kind permission of Mr G. Sanger the children were allowed to visit the cages of the various animals and watch them being fed. March 31st. During the dinner time today children were present at a Ventriloquist & Conjuring entertainment (12.30 to 1.30.) the first given in the school. April 24th. Two boys (A. Cook & J. Wheal) soundly punished with the consent of the parents-today for gross indecency & misconduct on the journey home from school last night. April 30th. Amy Gould absent, (cycle accident). June 7th. It is with the deepest regret that I have to record the death of J. Sands Esq. of the Priory. Dagnam Park. and one of the Managers of the school ,at 5.30 a.m. this morning (Trinity Sunday). June 9th. The Vicar called this morning and introduced Rev, B. White as the new curate. Boys playground flooded. June 11th. No school held this afternoon, being the funeral of J. Sands Esq., At the request of Mrs Sands the elder scholars attended the funeral service at South Weald Church. The children subscribed for a wreath which was this morning taken to the Priory. June 15th. Owing to the heavy and continuous rain ( since Mid-day Saturday) the water has made the roads impassable in several places-notably at Bear Hill-and no less than 16 children were absent.. Fires were lit in the school today. Oct 23rd. School closed today. Desks planed, skimmed and varnished; offices & cloakroom completed. Nov 20th. During this week complaints have been received from the parents that their children though sent clean in the morning have returned at night with vermin both in the head and body. The cause of this having been traced to three sisters (Emma, Daisy & Florence Reynolds) the matter was at once reported by J.H. Smith Esq. to the Medical Inspector of Health, who after examination found that both the children and their home were infected with pedicule. These children are therefore suspended from attendance till certified by M.O.H. fit to resume. Dec 4th. No on books 75. Present 70. Average 69. % 92. The Reynolds are still away. The elder sister of these children called with her sister to inquire if they could be re instated. The master told them that immediately they were certified as clean they should at once resume their places. Jan 11th. One boy G. Knight reported ill & suffering from Diphtheria. Notice sent to the Ministry of Health. Feb 12th. Number on books 79. Present 78. Average 73.2. % 93. The fall this week has been occasioned by three of the children away ill. The boots of the children are beginning to fail through the continued heavy weather. Owing to the kindness of Mrs Sands (The Priory) the three Reynolds children were each provided with a stout pair of boots and a pair of woollen socks, as their own were absolutely useless. April 15th. Rev, W.B. White visited. Amy Gould absent today. Attendance for week. On books 79. Present 78. Average 73.9. % 93.5. I have today to resort to corporal punishment. Alfred Cook receiving one stroke on the hand for continued rudeness. I have had to speak to him several times of the same offence but apparently to no effect. July 27th. Rev, W.B. White visited. The school breaks up this morning for the Harvest Holidays. The School Treat takes place at Dagnam Park this afternoon. Attendance for week. On books 79. Present 79. Average 77.4 % 97.9. Oct 10th. Rather better attendance today. One girl came with her clothes very untidy, and her back showing in places, so I sent her home to get them mended. Oct 11th. The above girl (Reynolds) absent today. Oct 18th. I have received complaints from parent that their children coming to school clean, return home with vermin. 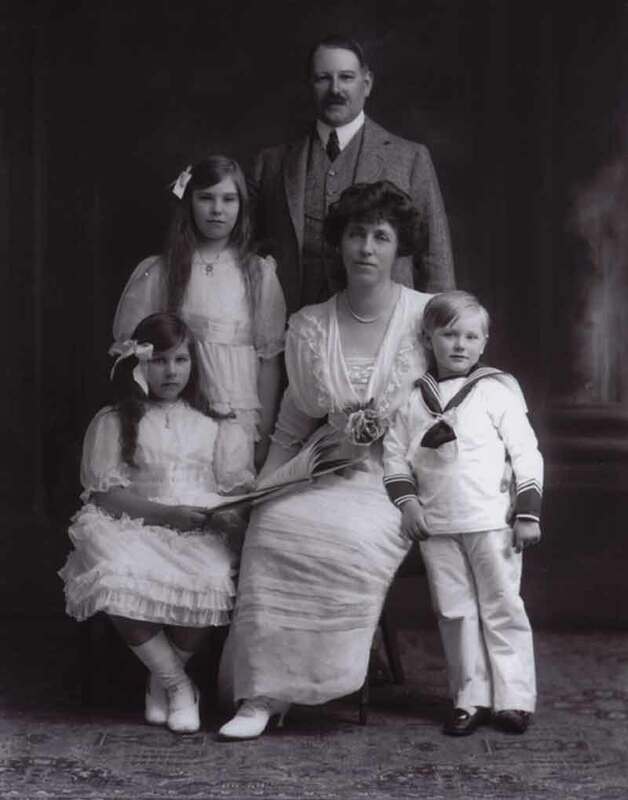 I have traced the same to the Reynolds Family and this morning I sent them home as they were so untidy & dirty. I went to Romford and informed the Vicar & J.H. Smith Esq. who promised to have the same attended to immediately. Oct 21st. Average for week. On books 79. Present 78. Average 73.4. %92.9. This is rather lower than usual owing to the 4 Reynolds being absent since Tuesday. Oct 28th. Removed names of 4 Reynolds this week. Also V. Joyce who is not likely to be at school for some time. She is suffering with her eyes and in all probability will lose the sight of one. On books 74. Present 74. Average 73.4. % 92.9. Oct 31st. The 4 Reynolds have been returned clean & tidy and I have readmitted them, acting on the advice of the Vicar. March 30th. Rev, J.H. Mitchell visited a.m. A Gould absent till 10 a.m. Very dark morning, so that no work could be done in books. The Lamps had to be lit and kept burning most of the morning. 5th May. Leslie Turner left this week, he has gone to live with his grandmother at Navestock Side. The weather has been very cold and wet, fires have been continued this week. Yesterday evening the gusty wind tore a window from its fastening's, one pane was broken. 8th May. Admitted William Brown, 9 years, Jack Brown 7 years and Bert Brown 5 years, the two former have attended school at Walthamstow. I noticed Ethel Lincoln's face breaking out (Impetigo) I told her to get ointment. 9th May. Ethel Lincoln's face much worse, must sit by herself today, ointment obtained. 19th May. S.A.O. called in reference to the employment of Les Willis on the Gidea Park Golf Links on Saturdays and Sundays. The boy was warned not to accept any employment whatsoever, he not having attained 12 years of age. Ethel Lincoln's face now much better. 12th July. Sir Thomas Neave Bart has this day visited the school and has kindly presented two pictures which were hung in the large room. Thomas L H Neave. S.A.O. visited today. Mr Hales H.M.I. called today. 19th July. Miss A.L. Boyd was absent today on account of sickness. Lady Turner, The Priory, has presented a case of Indian Butterflies to the school, for which gift she was thanked. 28th July. By permission of the managers, a double session was held today, the children having been, by the kindness of Sir Thomas and Lady Neave, invited to tea and games in Dagnam Park. 6th Sept. Two tons of coal delivered here by Dalby & Co.
19th Sept. This has been a very wet and windy day; the rain has been blown into the porch, wetting the children's coats. I drew the attention of Mr H. Watt to the state of the porches and suggested that new window frames be procured for the windows, which are at present without frames. I also drew his attention to a large puddle, which effectively blocked the way of the infants who use the passageway to reach the playground. 5th Oct. The following boys are attending the Clinic, Albert Road Council School, this afternoon for Dental Treatment. I have given them their marks. ? 6th Feb. Several sheep strayed into the school garden during the early morning & destroyed everything they possibly could. The garden was a ruin. 12th Feb. Meet of the Essex Hounds at Noak Hill. It has long been the custom at this school to take the scholars to see the meet. As this occurs at 11am, today school will be suspended for a short time in order to allow the scholars to view the meet. They will be required to write a short description of what they have witnessed. 11th July. Children of upper division taken to cricket field to compete in heats preparatory to their sports tomorrow. 12th July. School closed for the day for the Noak Hill Fete & Flower Show. 6th Dec. School Closed for General Election. 1st July. By the kindness of Sir Thomas & Lady Neave and the other Managers of the School, 40 of the scholars & staff enjoyed a day at the British Empire Exhibition at Wembley. 18th Dec. Double Sessions held today by permission of the managers. The school children have again been invited to an Xmas tea in the Victory Hut, given by the Woman's Institute. School closes for Xmas Holiday, reopens 5th Jan.
5th Jan. Reopened school today. Horace Moore aged 15, is attending school, at the request of his parents. He is not registered as attending. Inspected on 2nd April 1925. Report by H.M.I. Mr J.W. Veysey. "Mixed and Infants : Many of the children are undoubtedly of a low grade of intelligence, they are however well disposed and attentive. The written exercises in Arithmetic and Composition are carefully done and display a very fair degree of accuracy. During the past few years improvement has been made in the Reading as regards fluency, but much remains to be done in respect of clear and accurate enunciation, proper phrasing, natural expression and understanding of the language met with in the reading books. Bright and interesting lessons in History, Geography and Nature Study are given to the lower class in the main room and the children make satisfactory response. In the upper group, the master carries out his syllabus conscientiously, but judging by the results of tests set to this group it is evident that the work attempted is beyond the grasp of the lower section of this group. These children ( standards IV and V) should be taught separately on a simpler course of work. The others ( Standards VI and VII) could proceed on a more advanced course, and might be trained to learn a good deal by their own efforts". Signed. H.C. Robins. Correspondent. 11th Dec. S.A.O. visited. I reported to him that the Passway children had not had any food for their dinner for a week and that we had to supply them. He said he would investigate the case. 15th Dec. Inspector Martin. R.S.P.C.C. called to investigate, re Passway children. 9th July. 3pm. The children of the upper division taken to see the cricket match between a local team and the Chartered Bank of India & Australia. 16th July. Village Fete. School Children gave displays of Maypole and Folk Dancing. 11th Jan. School closed for one further week by order of Medical Officer of Health, there has been an outbreak of scarlet fever in the village. 22nd Jan. On Books 47. Present 31. Average 28.5. % 60 .6. The Passway family have been taken to the Infirmary, Romford. Their father was sentenced to 3 months hard labour for his neglect. 25th March. On Books 50. Sessions 10. Possible 500. Actual 458. Average 45.8. % 91.6. Copy of Form 35E; Board of Education. Local Education Authority, Essex. Noak Hill, St Thomas C.E. School. No 280. Reg. No. E. 13/280/5. Inspected on 25 January 1927. Report by H.M.I. Mr J.W. Veysey. "The general plans, the schemes of work and the methods of teaching in this small rural school of two classes are on the whole satisfactory. For most of the subjects the Head Teachers class is divided into 4 groups, and for much of the time the children are left to work independently, the work of each group being carefully arranged a week in advance. Generally speaking the results are very fair, but a higher level of attainment would be reached if the Head Teachers plans were carried out with a little more vigour. In a few cases the written Composition of the older children is good, but the Handwriting of the younger children is sometimes untidy. In Reading lessons care is taken to see that the children understand the meaning of individual words, but in reading aloud they should be trained to speak more distinctly. With the senior group fairly good results are obtained in teaching Geography. To arouse the children's interest and assist them in learning Geography and History numerous pictorial illustrations and newspaper cutting's are hung on the walls, but in continuing this commendable practice care should be taken to avoid giving the room an untidy appearance. The boys do not appear to receive much instruction in Drawing, and the results are not very satisfactory. This weakness is partly due to the fact that during these lessons the Head Teacher has at times to devote part of his attention to the boys working in the school garden. The Infants are making satisfactory progress in oral Reading and Handwriting. Signed." A.C. Comer Stone. Correspondent. 1st June. Head Teacher granted permission to attend Blacksmith's Demonstration Van, with 4 boys at Bush's Forge, South Street. Romford. 21st July. Noak Hill Village Fete. School closed for the day. 5th Dec. Mr Blundell Brown has invited the School children to attend the Meet of the Essex Hounds 11am at Wrightsbridge. The Managers having granted permission, the children will leave school at 10 :30 am, and return immediately the Hunt moves off. Mrs Hartop will remain in charge of those at school. 9th Jan. School reopened today, 22 children only present. Outbreak of Whooping cough responsible. Informed Dr. Ball, Medical Officer of Health. Romford. He visited me at 5pm, and instructed me to close the Infants Department. Particulars forwarded to M.O.H. Chelmsford & Romford. 12th July. School closed for Village Fete. The children gave displays of Maypole and Sword Dancing. 29th Jan. The Nurse visited this morning and inspected the children. A gramophone has been presented to the School and Village by Mrs Boyd in memory of her daughter. It stands in school on a cabinet made by one of the old boys of the school. 3rd March. Lady Neave having very kindly presented the school with £2 :10s. A Horlicks Malted Milk equipment has been installed and all the children have the hot milk each morning at playtime, paying where it can be afforded 2d each week. 30 June. The percentage of attendance having reached 95 for the month of June, the school has earned an attendance holiday. 23rd Oct. The school will be closed all day on Monday, as attendance holidays were won in June and July. It will remain closed on Tuesday 27th October as the school will be in use as a Polling Station in the General Election. 12th Jan. During the recent gale, something must have come dislodged in one of the chimneys, for no smoke could escape at all, the school being filled. The time table was changed, extra physical exercises being taken while the doors and windows were thrown open to allow smoke and fumes to escape. 10th Feb. The weather is exceedingly cold, the temperature in both rooms being in the danger zone. On this account frequent physical exercises are being taken. The attendance being small (26 present out of 53) stock is being taken, ordinary lessons bring replaced by extra English and Arithmetic. 30th May. On entering the main room this morning, I found that a large portion of the plaster from the ceiling had fallen, making a great mess, the school not being usable until it was cleared. Mr H. Watt, a manager, came to investigate the matter, I telephoned to the correspondent and reported what had happened. Class I; is now working in the open air, while the cleaner is clearing up the class room. 1st June. During the summer months, on Wednesday afternoon, weather permitting, the last hour will be devoted to netball, taken in a field near Spice Pits Farm. The lesson missed on Wednesday, will be transferred to Thursday afternoon, instead of the Physical Exercise lesson which appears on the Time Table. 13th June. Nurse Philpott visited the school and examined the new children, also difficult cases. Gladys, Annie and Joan Hodge were excluded on account of dirty heads. 14th Sept. At 8:50 am. just after the warning bell had been rung, the children were still playing in the playground, the juniors at a game called "Chivvy". One John Enkel, was being chased by several other children, when he fell over near the fence. Reginald Mumford stumbled on to him and a girl, Grace Gildersleeve fell on top of Reginald. The latter struck his lip on the fence cutting it in the centre. These details were gathered from the children concerned, and eye witnesses, immediately after the accident, as the staff were in their respective classrooms preparing their work. The lip was at once dressed and the bleeding stopped. I sent Reginald and his sister home at 9:10am by car, through the courtesy of Mr Hammer. 9:45am. Eileen Mumford has now returned and reports that Mrs Mumford is taking Reginald to the doctors this morning. 18th Oct. Dr. Feldman visited the school and examined the Lodge children and Herbert Rawlings to see if they still required free Cod Liver Oil & Malt. 6th March. The Head Teacher left the school in charge of Miss Hutchison for an hour this morning in order to see the Doctor. It was found that Impetigo had been contracted from the children there being several cases in the school. The Clerk to the D.S.C. was phoned to ask for instructions, and he said that Miss Mardall must remain away from school until she has recovered. 28th Sept. The School Fete took place today at Spicepits field. Sports, pony riding, competitions and croquet took place, the children helping to make all arrangements. £4 :10s was taken and it is hoped to raise enough money to build a school kitchen.The cesspool was emptied today. 14th Dec. In consequence of the very severe weather, the classrooms are extremely cold. With lamps lit, large fires and the windows closed the temperature at 11:45am is only 48f. Therefore the children do physical exercises every twenty minutes. 1st Oct. The Head Teacher leaves school at 11:25am. to change the cheque in Romford. The Milk Scheme came into operation this morning. Forty children are now having one third of a pint of milk daily. 8th Jan. School reopened this morning. 65 children on the books, Class I. 24, Class II. 18. Class III. 23. Miss Barber is to have a small class this term in order to help her in class management. She will assist in class I. work by marking the lower section English. 28th Feb. I consulted Rev. Evans, as correspondent about the dinner hour, and he agreed to the continuance of the short dinner hour for 2 or 3 weeks longer, to enable me to use the bus service when the weather is too bad for cycling. 9th Sept. School reopened this morning. Five boys have been transferred to Ardleigh Green School as their parents wished them to attend a Council school and to be under a master. 28th Oct. An accident occurred at 2:15pm. in the school garden. Arthur Laughton was cut on the left thumb, across the corner of the nail, about half an inch in length. It bled profusely at first but stopped after treatment . George Lodge and Arthur were double digging in adjoining gardens. It was nearing the end of the lesson when Arthur went to take George's manure to save himself trouble. To drive him away George hit him with his spade, cutting his thumb. The cut was thoroughly cleaned, bathed with hydrogen peroxide and bandaged by Miss Barber. It was not considered sufficiently serious for Arthur to be sent to a doctor. V.H. Hutchison. K. Barber. Signed. George Lodge. Inspected on 27th September 1935. Report by H.M.I. Mr J.W. Gafton. "1. Last year 17 children reached the school leaving age and this relatively large exodus has reduced the roll to 56 pupils who are taught in two classrooms by the Headmistress and two Assistants. 2. The written work of the children who left was thoroughly examined, and revealed a satisfactory level of attainment in English and Arithmetic. It was evident that these children who had spent some time in the top class exercised care and thought in their work. 3. Three important factors have seriously affected the aims of the Headmistress whose interest and care for the children deserve high praise: (a) she has only recently completely recovered from a serious illness which necessitated her absence from school last year ; (b) a succession of young inexperienced teachers in charge of the second and third classes and (c) a relatively large number of the children are slow in the uptake. For these reasons the attainments at present do not reach a very high level ; but, now that the Assistants have obtained some experience of their work, the outlook may be regarded as more promising. 4. Amongst the points discussed with the Head Mistress may be mentioned ; (a) the need for improved Handwriting throughout the school ; and (b) the low standard attained in Reading in class two. 5. Features of interest are the School Club, and the School Camp. 6. The successful efforts of the Head Mistress to raise funds for the provision of a Dining Room deserve a word of praise. It is understood that many of the children eat their mid-day meal at school. Signed P. S. Abraham. Chairman. 6th Jan. School opened this morning; 60 on roll. 7th Jan. Dr. Bodkin called this morning to inspect Kenneth Thirkettle. She reported that he was definitely improved. The Rev C. Robinson visited the school this morning. On account of a very wet dinner hour and playtime, school will be dismissed at 3:20 this afternoon. Dr. Bodkin called and recommended free milk for Joyce and Leonard Gray. 28th Feb. The Head Teacher left school this morning at 11:10 this morning, to change the cheque at Romford. She will also make arrangements for the gramophone to be repaired. Mr Tinker called this morning with regard to the proposed School Kitchen. It was decided to ask the County Council for three trestle tables, six forms, nine yards of American cloth, a teachers table and chair, large cupboard, gas stove, and gas heater, also to provide wages, 5/- per week, for a woman to prepare, supervise & clear up the dinner. 22nd April. Injury of Head Teacher, copy sent to the Clerk & Rev G.S. Robinson. Hearing a child crying at 8: 55am. today, Miss C. Mardall went to the cloakroom and found Alfred Jones, a new entrant aged 5, crying and wanting to return home with his mother. The Head Teacher put her arm round the child to comfort him and he straightway kicked her on both legs, bruising and grazing the right, and badly bruising the left leg. Miss Mardall will see Dr. Ernst this evening. Mrs Jones was interviewed at 12 noon, and reported that the boy is in the habit of kicking her whenever he is crossed. 10th June. The Rev P.S. Abraham visited the school this morning And took a coloured film of several actors in the May Day Festival. The Cesspit was cleared today. 6th Sept. School reopened this morning. Nine children have been transferred to other schools and five have been admitted. Total roll 35. The school has now been reorganises in two classes. Infants under Miss Hutchison, Juniors under the Head Teacher. 6th Dec. Measles epidemic. Only 15 children present this morning. 9th Dec. The weather is very bad this morning, it being exceedingly cold and wet. Only 8 children are present, Three of those present yesterday seemed to be sickening for measles. 15th Feb. From today until 31st May 1938, Joan Meloin, Eileen Edwards, Mary Tonks & Gerald Wigley are to receive daily 1/3 pint of milk & Cod Liver Oil & Malt from the Supply of free milk & Cod Liver Oil & Malt for Necessitous children. 31st March. A Dental Clinic was held at the school this afternoon. Twelve children had teeth extracted under gas. 20th July. Four Police Officers visited the school from 10 to 11 am this morning and gave lessons and demonstrations to promote safety on the roads. 5th Sept. School reopened this morning. Five children have been transferred to St. Edwards Senior School, two have left the district. There are six entrants making the Roll number 54. The new teacher has not arrived, so the school is organised in two classes for the present. Twenty eight children are having hot dinners this week. School Inspection School Romford. Noak Hill, St. Thomas Junior and Infants. No. 280. Regd No. E. 13/280/28. Inspected on 25th July, 1938. Report by H.M. I. Mr J.W. Gofton. This somewhat isolated school of three classes is conducted by a Mistress whose personality and driving force have produced an atmosphere in which children from a wide area thrive both physically and mentally. In the forefront of her outlook is the pressing need for improving the bodily health of the children as a prior necessity to their mental growth. In recent years many of the pupils have been encouraged to travel at their parents expense to this school from semi urban districts for the benefit of their health. Apart from the fact that the curriculum of the methods of teaching are specially adapted to the needs of such children, a particularly valuable complementary aid to their welfare is the well organised system of midday meals. This has been made possible through concerted efforts on the part of the Mistress, the assistant teachers, and the parents over a long period of time, together with financial assistance from Diocesan sources and generous treatment of the local Education Authority. The Refectory recently built and equipped is an invaluable adjunct to the school from points of view other than the obvious one of domestic welfare. It provides relief accommodation for the two classes which would normally be housed in one classroom; gives free floor space for such activities, as Eurhythmics, Dancing and Dramatisation, and is suitably equipped for simple practical instruction and the use of the projector. Full advantage is taken of the opportunities for widening the outlook of the children through these amenities : indeed it would be difficult to praise too highly the efforts of the teachers. The more permanent members of the Staff deserve special credit in that their interests extend beyond the limits of the present school population, infant and juniors, to include the seniors who now attend another school. A correct copy of the H.M.I. report. E.C. Blaxland Chairman of the Managers. 28th Sept. Respirators are being distributed to everyone in the village today, from this classroom. The school therefore will be divided between Miss Hutchison and Miss. Bonsor. 29th Sept. The distribution continues. The head Teacher had to go to Romford twice to see the Borough Surveyor in connection with the construction of a trench for Protection in Air Raids. The school continues being organised in two classes. 4th Sept. The Staff assembled this morning, held a meeting and also measured the windows of the school for the obscuring of interior lighting. The children were not assembled as War with Germany was proclaimed yesterday. The children will return to school when adequate air raid shelters have been provided. 26th Sept. Instructions were received today, that although no shelters have been provided, school is to open as soon as possible. A circular letter has been sent to all parents stating that this school will reopen on Thursday 28th September at 9 a.m.
28th Sept. School reopened this morning. On Roll 63. Present 33. Time will be taken for Drill in going to the Victory Hut, (which is sandbagged and in putting on and care of gas masks. Found all staff present and 34 children, all settled down well. Watched a respirator drill, quick and good. School moved to shelter in Victory Hut. Time taken from warning 3 minutes. M. Marriot. 28th Sept.
5th Oct. At 10 a.m. the ceiling (approx. 4x5ft) in the girls cloakroom, crashed to the floor, I reported the matter to Mrs Marriot, then with the help of some of the boys and the cleaner, cleared the debris. 20th Nov. Mr Rhodes visited the school this afternoon. He asked me to leave the school in the hands of Miss Hutchison and Miss Jones for the rest of the week, and to devote myself entirely to the work of opening the Straight Road School. 8th March. The school Nurse carried out a cleanliness inspection this morning and reported Arthur Ottley for bodily uncleanliness. I gave her his home address. The inspection was carried out behind screens at one end of the main room, as it was a very cold morning and there is no fire in the smaller classroom. 3rd June. Mrs Marriot called and invited the children to walk in her garden tomorrow (Tuesday). 4th June. In the nature study period the children will go to the Priory Garden. 22nd Aug. Dennis and Keith Guest not yet returned to school. Air Raid during early hours of the morning possible reason for two absentees. Mr McAlleran called. Only 12 children present two air raids during the night possible cause. 27th Aug. Air Raid at 3:30 pm. yesterday just as children were going home. Two boys ran home, the rest went into Mrs Jupps shelter. All clear 4:10 approx. Some children late, owing to 6 hour air raid during the night. 4th Sept. School closed Sept 2nd & 3rd to allow windows to be protected with paper, a Temporary measure until net arrived. Air Raid at 9:15 am. until 9:45 am. 25th Oct. Alarm before 9 am. and still on at 10 am. Morning school cancelled, afternoon school cancelled also. 28th Oct. Copy of the report on Religious Instruction, inspected July 1940. "In number this is a sadly depleted school, more than two thirds of the children having been Transferred to a newly built school. There have also been numerous changes in the teaching staff during the year. However in spite of the difficulties the present teacher is carrying on the school on the excellent lines on which it has been carried on in the past and which made it one of the best schools of its type in the district. The children answered the questions asked them, readily and well. 16th Sept. Mr Pearce (Paternoster Row) very abusive and took four children home, said he was going to 90 Eastern Road. Trouble began when I asked him to address his complaints to me. He was swearing at child over school fence. 10 am. Mrs Pearce arrived to apologise. 4th Feb. Four boys; Dennis Guest, Arthur Ottley, Brian Thomas and William Pearce each received one stroke of the cane (on the hand) for trespassing into Mr Watts stack yard after being warned not to do so. 7th Sept. Two members of the local Police Force visited the school and spoke on the dangers of the anti-personal bomb. 2nd Feb. Three Morrison Shelters were delivered at the School today. 27th March. Last night a rocket fell almost opposite to the School buildings, doing considerable damage. The school is closed, and a report from the surveyor awaited. 10th April. The School reopened today after the Easter holiday. The large room only can be used, so the infants will occupy one end of the room, until their room is repaired. 7th May. The three days following will be kept as a school holiday in celebration of Victory in Europe. 12th May. Today, Saturday, the children of Noak Hill are being entertained to tea in the playground, with games and races to follow. Each child will receive a gift of money. This treat is a Victory Celebration, the money for it being contributed by the people of Noak Hill. 27th Feb. After a very severe frost for several weeks, the pipes in the cloakroom today thawed, revealing a burst. The cloakroom was flooded, and Mr Wingrave was called in to deal with the situation. 15th April. Today the School opens after the Easter Holiday. No on Books 34. Present 34. 3 children were admitted, two of them under 5. One child has been withdrawn. She has gone for a 3 months holiday to Switzerland, being one of the 6 Romford children chosen to take advantage of an offer by the Swiss Red Cross. 24th April. Brenda Matthews, aged 10 years 11 months, during morning recess, fell while coming out of the lavatory and cut her hand badly on a rusty corrugated iron fence, which divides the school house from the playground. Miss Penter, having gone to the swimming baths with 15 juniors was out of school, and Mrs Jupp took Brenda to Dr. O' Sullivan. The doctor put 3 stitches in 1 cut and 2 in the other. Miss Penter is taking Brenda home this afternoon, to explain the circumstances to her mother. 19th Dec. A cabinet was today installed to hold the telephone receiver. 26th Nov. This afternoon an accident occurred at 2:40 to Vernon Steggles (aged 4 years 5 months) while the Teacher in charge was in the back playground. Vernon climbed the iron gate & slipped, cutting his lip. The Teacher in charge rendered first aid and afterwards taking him to the Victoria Hospital and thence to his home at 73 Briar Road. M J Tucker (Teacher in charge). 18th Nov. Installation of electric light started. 24th Nov. Installation of electric light completed and wires joined to the mains. 15th May. Mrs Sayer has retired from the post of Playground Supervisor. Mrs Chapman, Priory Cottage, will now undertake these duties. 22nd July. This afternoon the school breaks up for the Summer holiday. Three boys will proceed to St. Edwards Modern Secondary School after the holidays as they have attained the age of eleven. 4th Sept. Commencement of the Autumn Term. On roll 74. Agility apparatus delivered during holiday also the annual requisition. 22nd March. Lady Neave, the Mayor & Mayoress (Alderman & Mrs Poel, the Town Clerk (Mr Twinn, Rev. James and several other helpers, attended the School this afternoon and distributed sweets and food parcels to the Noak Hill School Children and Old Age Pensioners of Noak Hill. Mr Hammer very kindly provided transport for the old people and tea for them and for the visitors. The sweets were received from the Tanganyika Food Fund for Britain. Jan 8th. Mrs Mylard commenced part time teaching today, mornings only. So far no one available for afternoons. Mrs Gildersleeve, M.D.A. off sick. Mrs Attrill deputising for her. Mr Jones unable to take boys for football because of back trouble. Two children were admitted to infants. Numbers now on roll. Infants 15 Juniors 30. Feb 12th. Glenny, Estate Agent for School house have promised to examine property because of its state; broken tiles falling from roof, broken windows making access easy and cracked walls. March 22nd. Friday. Gas burner of water heater again examined in Canteen ; Soldering advised. Inspectors from London Transport delivered a letter today stating that as from April 20th the only buses serving Noak Hill (Pentowen) would be as follows. Arrivals (Pentowen) 08:55 departs (Pentowen) 09:00. Arrivals (Pentowen) 15:40 departs (Pentowen) 15:42. March 26th. Tuesday. Window of Junior cloakroom measured by Mr Barrs for iron frame to be fitted to prevent illegal entry. June 11th. Tuesday. Educational visit to The Golden Hinde today for 17 Juniors accompanied by Mrs Mylard and Mrs Bruse. Phones repaired, new pad inserted. Miss Eltham off sick. Mrs Kerr resumed duties. 4th years have been allocated places in following schools. Francis Bardsley. Deborah Hurley. Bedfords. Sylvia Hogarth, Michelle Gildersleeve, James Heathman, Graham White, Philip Jones, John Watkins & Steven Tisbury. Hedley Waters, Brentwood. Diane Mc. Turk. Sept 3rd. Tuesday. School reopened today after the Summer Holidays. 2 children were admitted; 1 to the Infants and 1 to the Juniors. One Junior was transferred to another school, as her parents have separated and the mother is moving out of the district with her daughter. Numbers on roll are now. Infants 10. Juniors 23. Total 33. Floors have all been tiled in Classrooms, but playground not tarred. Jan 24th. Friday. Attempted break in, new lock had to be fitted to front door. Police notified and tampered door inspected by them. April 15th. Tuesday. School reopened today after the Easter Holidays. The price of school meals increased, children 15p per day, adults 38p per day. Mrs Gildersleeve returned to duty. Jan 7th. Wednesday. School re-opened today for the Spring Term. One boy admitted to Infants. Number on roll now 35, 12 Infants and 23 Juniors. Feb 11th. Mrs Kerr passed fit to resume caretakers job, but is having her holiday first and hopes to resume duty on 16th March. April 26th. Monday. School re-opened today after the Easter Holidays. 4 children admitted to Infants. Number on roll. Infants 16. Juniors 21. Total 37. Mrs Mylard Juniors teacher, resumed duty today, also Mrs Kerr. June 29th. Tuesday. Health inspector called to inspect small creatures found on Canteen floor. Canteen sprayed with insecticide. Specimens sent to London for identification, confirmed as Bat Fleas. July 6th. Tuesday. Children's photographs taken in playing field today by photographer from Baker & Wheatman. Mr Allison asked to overhaul P.E. Apparatus in Hall as children broke in there and threw broken glass over mats etc. Sept 14th. Tuesday. Miss Sorall, organiser for Help the Aged gave a talk in school and several children are taking part in sponsored projects to raise money for this fund. Crack in front door inspected, large crack in wall there & ceiling crumbling & pieces continually falling. Nov 1st. Monday. School reopens. Steven Lyden admitted to Infants today. This child has a congenital heart disease. Holes in Juniors Classroom due to dry rot, examined and temporary repair to be carried out. During Christmas Holidays permanent repairs to be carried out. Steven Lyden is to be brought and taken home each day by taxi. Jan 20. Thursday. Police gave a film today on "Never go with strangers". Electric fire in office repaired. Feb 17th. Thursday. Victory Hall floor still not clean. School closes tonight for the « term holiday. At the managers meeting on Monday, the future of the school was discussed. I am retiring in the summer and as this school is too costly to run and the numbers so low, it has been decided to close this school on August 31st 1977. The school lies in the green belt and no building is likely to be granted so we depend on our numbers from Straight Road. Buses only run twice daily, Monday to Friday. July 14th. Thursday. Mrs Safron rang and informed me that is it now official that St. Thomas School will close on Tuesday 19th July 1977. Notices will be sent out to Parents tomorrow. The 4th year children are going to the following schools. St. Edwards. Paul Dunlop. 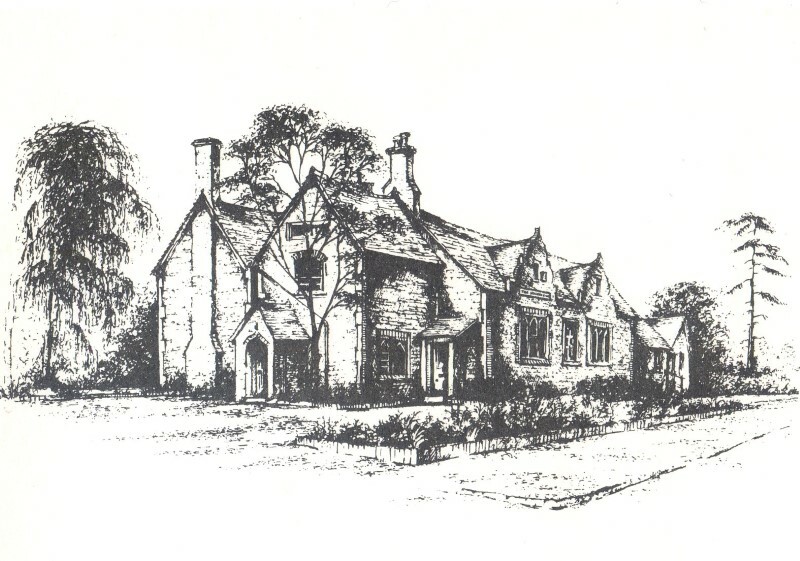 Harrow Lodge. Jimmy Attrill, Simon West and Andrew Readon. Bedfords Park. Michelle Wooley and Anthony Hurley. Francis Bardsley. Alison Proctor. July 15th. Friday. Mrs Wycrofts, Mrs Jones and Mrs Meah, and union representatives are calling to see more Teaching Staff and discuss their jobs in other schools. Mrs Gibbs, cook-in-charge, is going to Broadfords, Mrs Gildersleeve to Bedfords Park Lower and Mrs Cruse to Upper School at Bedfords Park. Mrs Safron informed me that Mrs Mylard is going to Dame Tipping and Mrs Sorenti to Ingrebourne Juniors. July 18th. Monday. Dinner Tickets collected today by Audit Representative. Party today. July 19th. Tuesday. Today school closes permanently. This has been a very happy school and for that I wish to thank Staff, Parents, Children and Managers for the wonderful support and help they have given me over the years. I also thank Parents, Staff and Managers for the beautiful gifts they have given me and all at Mercury House and past pupils who have sent me their best wishes for my retirement. Every child was presented with a Silver Jubilee Medal and either a book or record token to the value of £1: 50p from School Funds. The remainder of the money, £37: 38p was given to Dr. Barnardo's Home. I now close this Log Book, Friday July 19th. 1977, at 3:45 pm.